They're increasingly worried about its presence in some cities as unlicensed broadcasters commandeer frequencies to play anything from Trinidadian dance music to Haitian call-in shows. And they complain the Federal Communications Commission can't keep up with the pirates, who can block listeners from favorite programs or emergency alerts for missing children and severe weather. 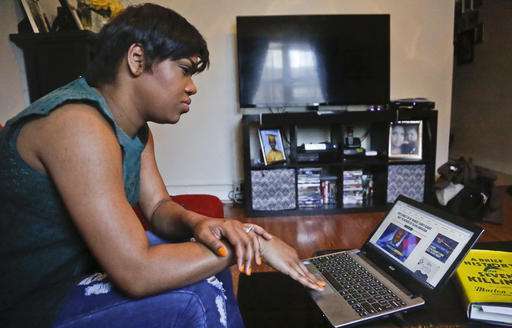 "The DJs sound like you and they talk about things that you're interested in," said Jay Blessed, an online DJ who has listened to various unlicensed stations since she moved from Trinidad to Brooklyn more than a decade ago. "You call them up and say, 'I want to hear this song,' and they play it for you," Blessed said. "It's interactive. It's engaging. It's communal." Last year, nearly three dozen congressional members from the New York region urged the FCC to do more about what they called the "unprecedented growth of pirate radio operations." So did the National Association of Black Owned Broadcasters , which said pirates undermine licensed minority stations while ignoring consumer protection laws that guard against indecency and false advertising. The New York State Broadcasters Association estimates that 100 pirates operate in the New York City area alone, carrying programs in languages from Hebrew to Gaelic to Spanish. Many also broadcast in and around Miami and Boston; FCC enforcement data shows agents have gone after at least one pirate in nearly every state in the past decade. The FCC has been discussing possible solutions, such as penalizing pirate radio advertisers, and last month urged landlords and government officials to look out for rogue broadcasters. The alleged pirates include Jean Yves Tullias, a barber living in Irvington, about 15 miles from New York. The FCC claims he appropriated an unused frequency to broadcast his show, which includes church services, gospel music and a call-in program for fellow Haitians. Tullias denies any wrongdoing. Cutting hair recently at his barbershop, he said a friend broadcast his Internet radio show without telling him he used a pirated frequency. Tullias, 44, started his show because the local Haitian community "had no communication, nobody to help them," he said. "When you get that radio station, that prayer line, you feel comfortable," he said of older listeners who speak little English and feel isolated. "You feel happy." Broadcasters are increasingly concerned because the FCC has gone after fewer pirates in recent years. The commission issued more than 100 warnings and fines against alleged pirates last year, compared with more than 400 in 2010. That number fell despite a "significant increase" in the number of pirate stations, tallied by David Donovan, president of the New York State Broadcasters Association. Donovan said the signals interfere with the Emergency Alert System, which relies on a phone-tree-like chain of stations listening to one another. Listeners also can't hear the alerts, he said. In his response to lawmakers' concerns , FCC Chairman Tom Wheeler cited a stagnant budget and its smallest staff in 30 years. Fines and seizures are not enough, he added, because pirates often refuse to pay and quickly replace transmitters and inexpensive antennas. For about $750, pirates can buy equipment to broadcast at a range of at least 1 or 2 miles, experts say. An FCC spokesman said the agency remains dedicated to combating pirate radio and has added agents to its New York office. Meanwhile, lawmakers and FCC officials continue to discuss solutions. The FCC has tried to encourage more diverse and underrepresented groups to start community stations through its Low Power FM effort , but it has had its limits. The program has helped spawn 1,500 stations with a reach of about 3.5 miles since 2000. But there have been fewer opportunities in crowded urban radio markets, and anyone known to have pirated the airwaves is barred. Charles Clemons Muhammad, who started an unlicensed Boston station for black listeners in 2006, is among those banned. The commission fined him $17,000, shuttering the station in 2014. He continues to broadcast online but must work to bring his older listeners with him. "I did this to give my community a 24-hour voice," he said. John Nathan Anderson, director of media studies and journalism at Brooklyn College, said pirate radio remains a "medium of last resort when you have no other way to communicate broadly to a community." "A lot of people look at radio as dead," he said. "But what we're actually seeing in many respects is a renaissance of radio as it goes into its next 100 years." Can NextRadio app help make radio relevant for a digital audience? The people that get in to pirate radio are usually driven by their own ego to think that they have something to broadcast that their neighborhood needs to hear. Interviewing them does give a lopsided view of what's going on here. A half baked podcast can reach at least as many people as a well run radio LPFM station. Most of the LPFM stuff I have heard is dreadful. It was created so that people could get their foot in the door for larger scale broadcasting and so that they could afford to tinker with new program methods. Radio piracy happens because of insufficient spectrum resources, complex licensing laws, and loads of ignorance and ego mixed together. This was originally what NPR and PBS were for. This was originally what college radio stations were for. And today it is LPFM. And if even that is too complex, then you have to ask what the pirate broadcasters can hope to achieve. Good to see America has it's priorities in order... LoL, they are pirate radio stations, if they want to broadcast, who should stop them from broadcasting? And why? If someone trespasses on your farmland and plants a crop, taking profits for themselves, it is wrong. You don't get the full benefit of your farmland. Likewise, a license for a chunk of the broadcast radio spectrum is also a coverage license. Someone who eats in to that coverage area to farm their own crop (develop their own listener base) is wrong. It is not a victim-less crime. Perhaps it's time to dump AM/FM and open the whole frequency range to a more sophisticated signaling system. 4G cellular networks already use a transmission method where every phone transmits on the same frequency band, and they use a coded filter to distinguish particular transmissions from the rest - overlapping signals simply appear as noise that degrade their signal to noise ratio, but don't prevent communication entirely. If that was applied to the FM broadcast spectrum, local low power "pirate radios" would not interfere with the large broadcasters because the recievers can differentiate between the two. The stronger signal will of course have more bandwidth and better quality, but for voice radio you don't exactly need much, and many stations can co-exist on a small sliver of spectrum. An analogy to the problem of multiple access is a room (channel) in which people wish to talk to each other simultaneously. To avoid confusion, people could take turns speaking (time division), speak at different pitches (frequency division), or speak in different languages (code division). CDMA is analogous to the last example where people speaking the same language can understand each other, but other languages are perceived as noise and rejected. The AM/FM radio is an example of frequency division, the early digital cellphone networks operated on time division, and modern cellphones operate on code division. The advantage of code division is that you don't have to allocate frequencies at all. Everyone uses the entire band of frequencies. What is allocated is the transmission codes, and there are far more of those possible than FM channels. That reduces the number of stations you can actually use at any given location to about two dozen or less. That's what makes the pirate radios an issue. With code division multiplexing, the mapmaker's problem dissapears with the need to allocate frequencies, and the penalty of adding more stations is that everyone loses bandwidth equally. With more efficient digital transmissions, there's plenty of bandwidth again for hundreds if not thousands of stations, and low bandwidth emergency stations can fit right in. CDMA is a multiplexing scheme, not a broadcast scheme. You can't use CDMA to broadcast over wide areas without lots of cellular infrastructure. If you do not use the cellular infrastructure models then the multiplexing you speak of fails because the degradation of bandwidth is not equal. A MW AM transmitter does not require that infrastructure. You can be deep in rural territory and still receive programming that would not otherwise be available to you. At night and in the early morning hours one can hear radio stations from distances out to 1000 miles or more. No infrastructure is required. This is especially of value when a region of the country has been through a major disaster such as a hurricane that destroys most f the infrastructure you would have used for CDMA. CDMA is a multiplexing scheme, not a broadcast scheme. The frequency division between FM or AM stations is a multiplexing scheme too. There's no reason why CDMA cannot be adapted to radio broadcasting. If you do not use the cellular infrastructure models then the multiplexing you speak of fails because the degradation of bandwidth is not equal. And that is a problem because? The degradiation of bandwidth isn't equal in the cellular network either, because cellphones hear each others' signals at varying amplitudes while communicating with the tower, and the tower hears the cellphones at varying amplitudes depending on how far away they are. Just reverse the scheme and think of the cell tower as the radio listener, and the cellphones as the transmitting radio stations. See the point? the degradation of bandwidth is not equal. The main cause for concern is that the cellphone and the tower negotiate their transfer rate depending on the currently available channel bandwidth. I.e. there seems to be a need for two-way communication to maintain the best possible bandwidth. But you don't need to maintain best possible bandwidth - just enough to transmit the data. The data itself can also be encoded in a way that degrades gracefully, so that when the reciever is seeing more noise it's not an all-or-nothing deal. Instead of 16 levels per symbols, it may resolve 12 levels - doesn't matter, close enough for voice. That way local congestion in bandwidth will simply make every station slightly distorted, which is likely to be imperceptible, rather than blocking channels entirely. Eikka, you presume that all signal strengths are similar. They are not. 1. There will always be FDM emergency channels where degradation of bandwidth is not allowed. Example: 121.5 MHz for aviation emergencies. 2. Near signals in CDMA will swamp the far signals. It's called the near/far problem. CDMA is a great multiplexing method when all other signals are of similar strength. It also has a capture effect that covers up background noise. Those are strengths when working on cell type systems. However, it makes a royal mess of the weaker signals. You need significantly better dynamic range to dig those signals out of the noise than most consumer receivers can deliver. Please read more on the subject. Describing the issue here in 1000 characters or less is not a good way to convey the nuances. On the other hand, AM and FM radio, while not efficient at using bandwidth, are still with us, not only because of the way the FCC auctions the "public" airwaves to big business, but because these were among the first modulation techniques capable of transmitting voice or music that required simple electronics to decode. For that matter, its ironic that our existing 802.11 wifi infrastructure is primarily implemented in such a way as to create isolated WLAN islands, tethered to corporate owned proprietary infrastructure, when it is entirely possible to create a peer-routed mesh, where all one would have to do to join the "network" is put up an antenna and begin connecting with ones immediate geographic neighbors. Might take a few tweaks to the # of transceivers-per-node (MIMO) and to the maximum allowable signal strength, but it would be a laudable goal. No I'm not. It's the exact same issue in cellular networks and it works just fine. Which also falls outside of the commercial FM radio spectrum, so they can have it. No issues there. And yet CDMA cellphones work just fine with dozens of other cellphones transmitting nearby, "swamping" their signals. It's a noisy channel with a multitude of different signals coming from different distances, directions, at different amplitudes and yet a consumer grade device with a transreciever module that costs about $5 has no trouble isolating the signal of interest. Tends to be a bit fragile in practice, and the more computers join the network, the slower it gets because of collisions and re-transmissions and packet loss. To extend the range of a wifi network, it's better to have a wired network for a backbone with multiple wireless access points at different non-overlapping channels. That way if someone in the middle shuts off their laptop, the network doesn't split in two. The ad-hoc option for 801.11 never really worked properly, and the support has been dropped off from later operating systems due to security reasons. Windows 8/10 computers won't even show such networks and connecting to them is tricky and inconvenient at best.